The United Church of the Brewed – Beware the Comfort Zone! 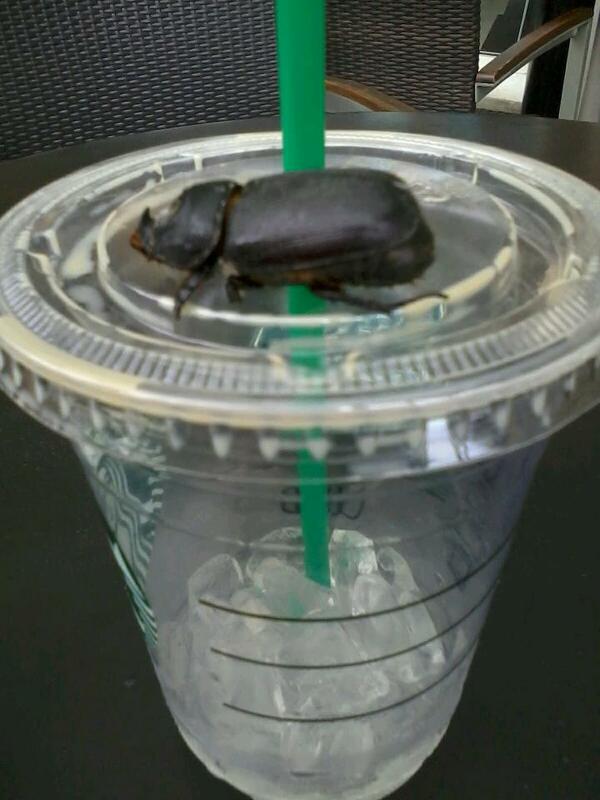 I realize Starbucks is a very polarizing company. There are basically two camps. Camp Number One loves Starbucks, cannot live without their Starbucks fix, flits from street corner to street corner, getting refills of their caramel hazelnut half caf mochacchino without whip, and of course, posts pictures of each and every cup on Instagram. The other camp won’t be caught dead within 100 meters of the Evil Empire (which means, basically, they can’t go anywhere outside). To them, Starbucks coffee tastes as though it has been filtered through a dirty sock, and the sole purpose of the store is to put each and every store in the world out of business. Even those that don’t sell coffee. Dan and I are long time Starbucks customers. We are in the “middle” camp, those who like an occasional drink, like to get out of the house and away from work, and know that Starbucks serves up decent (in our humble opinion) coffee in a comfy environment. We were excited to hear that the first Starbucks in Davao would be opening about six months before we arrived, because we knew that if everything else was strange and unfamiliar, at least we could get a cup of home. What we didn’t know was how therapeutic this place would become. We, like most other ex-pats, stick out like a sore thumb here. Short of shrinking several inches (in all directions…), dying our hair black and tanning like there’s no tomorrow, that will never change. Whenever we go out in public, we can’t help but notice the stares from others, or the cleverly posed photo ops trying to sneak us into the background. Dan has come to embrace this by becoming a master photobomber, much to the delight of the photographers and subjects. Trying to deal with the salesgirls who can’t stop giggling, or run away because they’re too shy to talk to you, can wear after a while. It’s amusing at first, but it gets old. Starbucks is a bit of a clubhouse for expats, missionaries, and the upper elite society. There are coffee shops all over town, all that offer coffee and food at about the same price point, but Starbucks has been very carefully “westernized” here in Asia. Everything from the decor, to the music, to the demeanor of the employees, makes you feel like you’re in a Starbucks in the States. The employees know their customers, and are not intimidated by them. They deal with Westerners constantly, so we’re not a novelty, we are regulars. They have excellent language skills, are usually up on the latest Western pop culture, and are more than happy to practice speaking Cebuano with you if you’d like, but will stick to Engllish too. The local customers usually deal with Westerners on a regular basis, so they are unfazed by the boring “puti” (white person) in the shop. It’s nice to come in, sit down, and not feel as though all eyes are on you. We have met a handful of other missionaries and expats at Starbucks, and it has become our meeting place for visiting, venting, debriefing, and just relaxing. It’s one of the few public places in town we can really just let go and “be”. The drinks are still around the $4 mark, but where else can you get a good, solid therapy session for $4? I know a lot of missionaries are “under the microscope” of supporters, scrutinizing every indulgence, however small, but let me reassure you, “allowing” this small luxury is an excellent investment in the ministry! The menu is basically the same as in the West, however there are always a few reminders that you are still, in fact, in Asia. 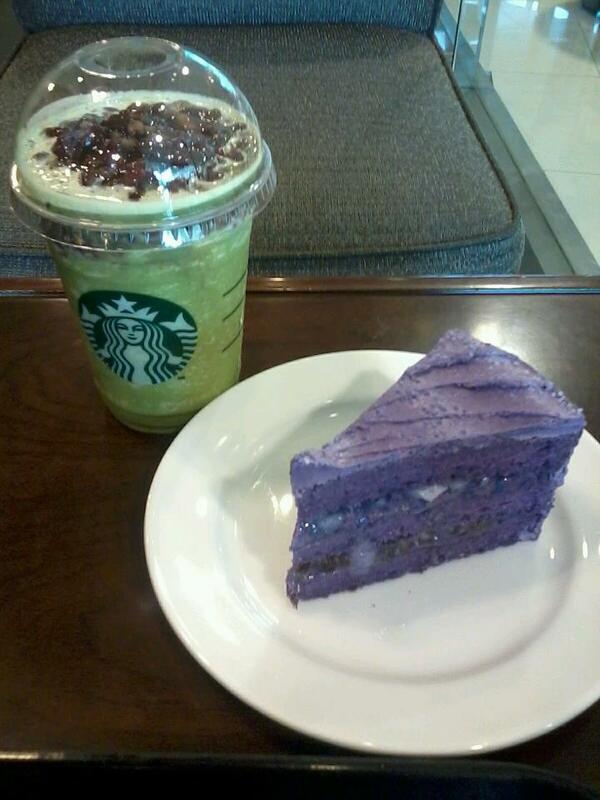 Green Tea with Red Bean frappuccinos, Purple Yam Cake, and Asian Dolce Lattes are dead giveaways that we’re not in Kansas anymore. I really don’t care if it’s the Evil Empire. I like going to the place where everybody knows your name. Don’t adjust your monitor…yes that cake is purple! And yes, the green drink has red beans on top! And yes, they are amazing!